For those of you who have been following my work on social media (Facebook, Twitter, Tumblr, and Instagram), you may have seen images from a campaign I worked on with Roy Chong from Noodle Wave Media for Ella Shoes. This was my second season on board as photographer (previously shot their F/W '12 campaign) and I was very familiar of the concept and expectations from the client. The team assembled at Spanish Banks, Vancouver, BC for the shoot and consisted of Lucy Sobotka (model) and Claudia Da Ponte (wardrobe stylist). 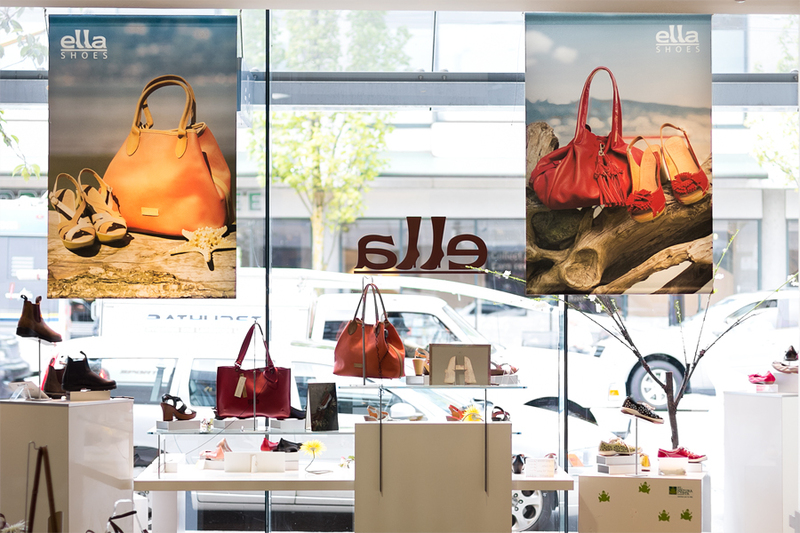 Here are some of the images from the shoot including window display banners from one of Ella Shoes' location in Vancouver, BC.